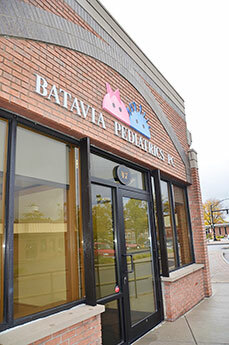 smartDESIGN designed a new façade for an established pediatrics practice in the City of Batavia. 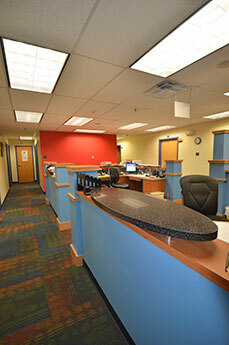 New brick, stone, and signage help to reinvigorate the exterior of this prominent location adjacent to City Hall. 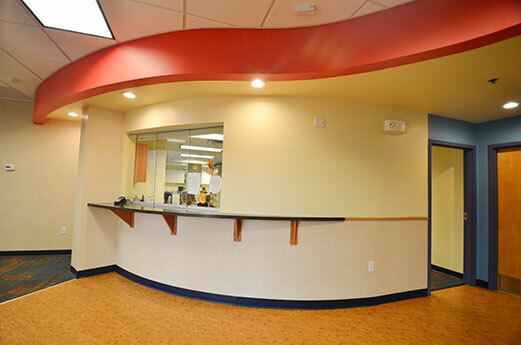 Next, the design moved inside to update the circulation and appearance of the entry, reception, and waiting area. 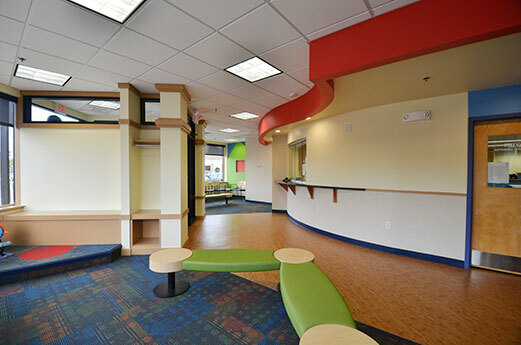 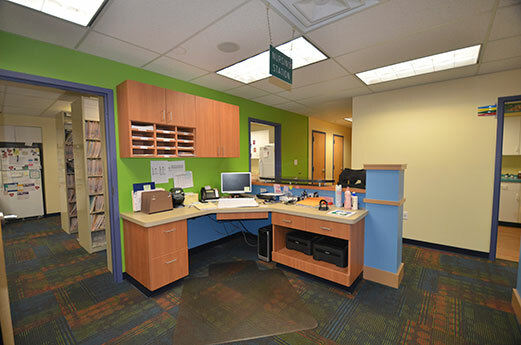 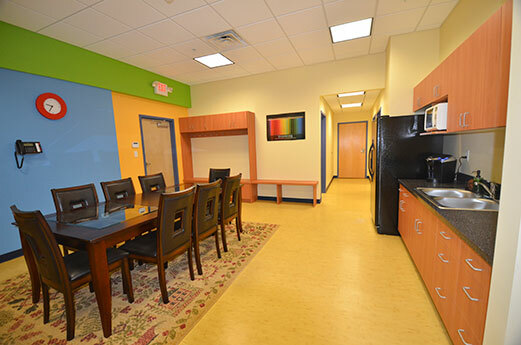 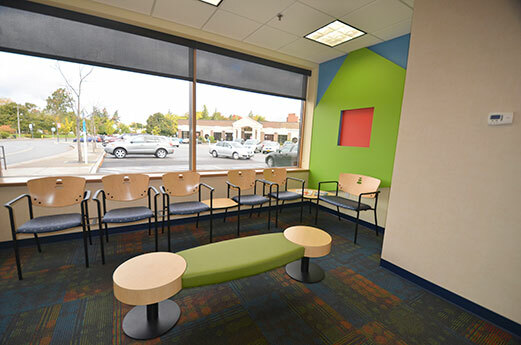 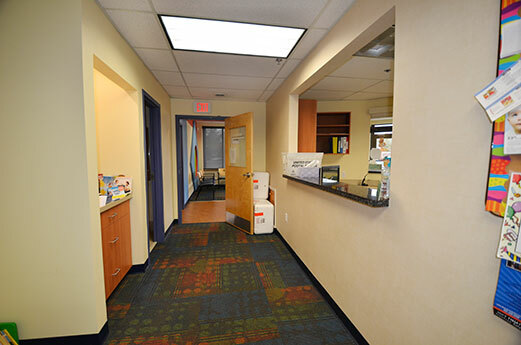 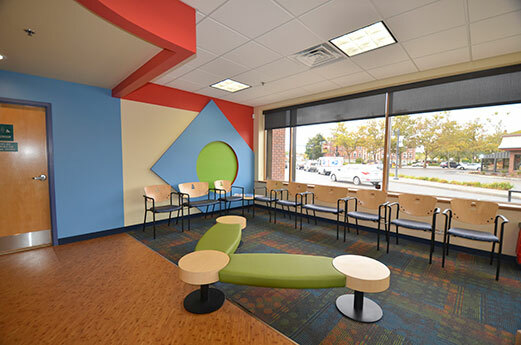 The design incorporates geometric forms to add some depth to the walls and highlight activities for children as they wait to see a provider.